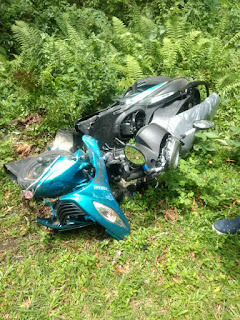 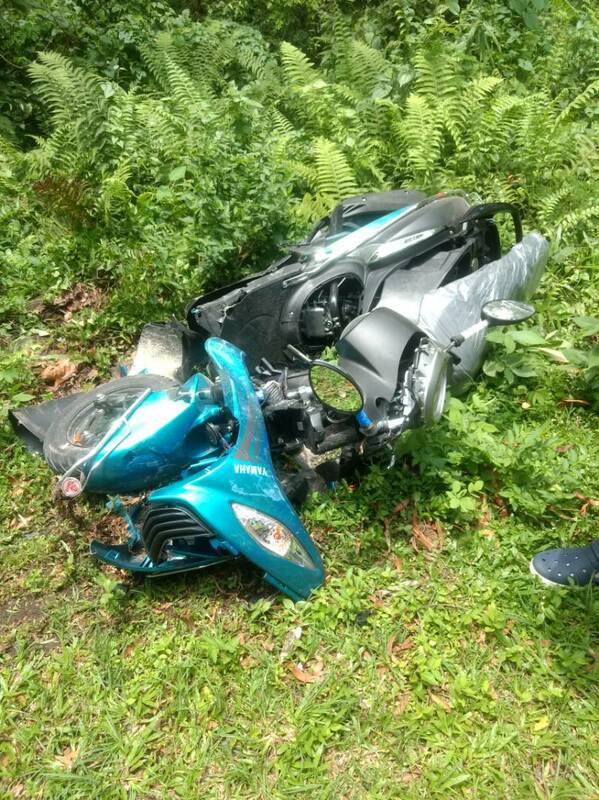 A female rider with pilon riding scoty yamaha fasino was badly injured when an overtaking bus from opposite side collided. 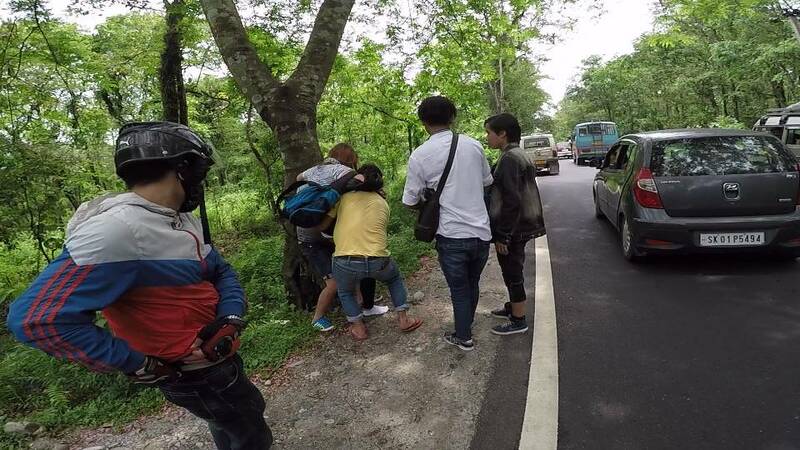 The lady driver is alive but major injury on her left leg and other parts of the body. 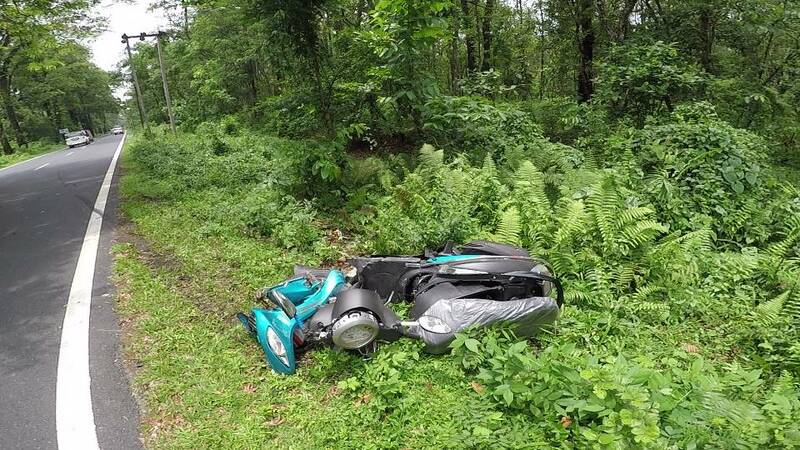 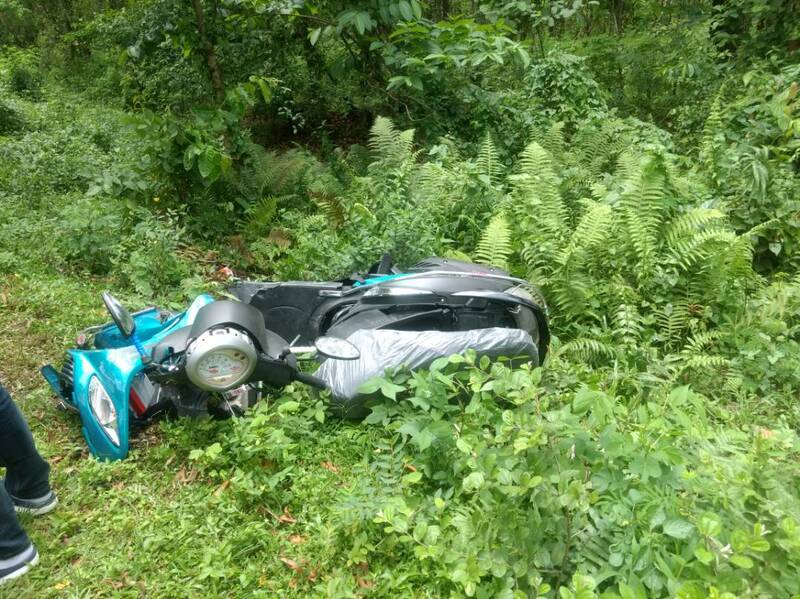 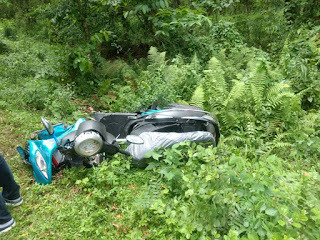 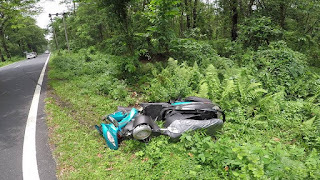 Our reader Niladri who informed us about this said the scoty was probably heading towards Siliguri and the accident took place at Sevoke today afternoon around 2pm. The pilon rider who escaped unhurt rescued the lady. 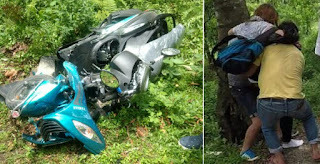 Soon he stopped a vehicle and took the rider to Siliguri for treatment.